Serum Tae Dat that all women have fallen in love. Give your eyes a spark! clear! Pretty! into the treatment as a treatment. Helps moisturize the skin around the eyes, reduce wrinkles, bags under the eyes and swollen eyes, not sticky even during the day. 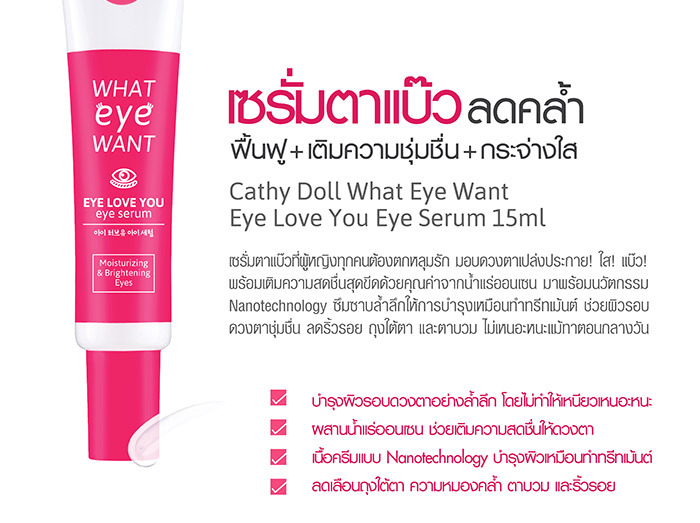 To use: Squeeze the serum on the little finger gently touch the eyes gently.